Optus has appointed Clive Dickens as vice-president, television, content and product development, in a newly-created role. Dickens announced on Thursday that he was leaving his post as chief digital officer at Seven West Media (SWM), a position he held since early 2015. An Optus spokesperson said on Friday that Dickens will report to Optus’ deputy CEO, Kelly Bayer Rosmarin. Dickens will be responsible for product development, lifting Optus’ digital capability and leveraging the telco’s content assets including Optus Sport, the spokesperson said. Dickens has a significant amount of experience leading digital products and platforms that have generated millions of dollars in digital revenues. 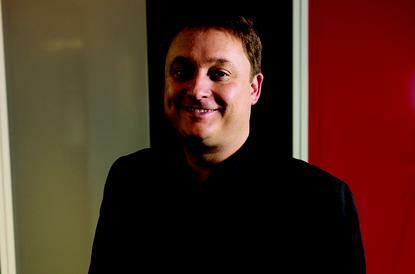 He placed number 4 in CIO Australia’s CIO50 in late 2017. While at SWM, he focused on scaling the Seven Network’s coverage of live streaming premium sports from the Australian Open to the Rio 2016 Olympics. His team rolled out ‘Project Atlantic’, a program at Pacific Magazines that used Agile development methods to build and deploy 13 branded digital products for consumer brands like Marie Claire, New Idea and Better Homes and Gardens. He hired a new product and technology team that leaned on cloud technologies to deploy into product a full features minimum viable product within months. The result was huge increases in digital audience and revenue, which made Pacific the fastest growing digital publisher in Australia. At Western Australian Newspapers he rolled out an internally built content creation tool that allows hundreds of journalists and content creators to ‘create once’ and publish everywhere. His technology team also launched the company’s first native new app for iOS and Android and refreshed footy mobile product, The Game. Dickens was also a major contributor to industry initiatives at Think TV, FreeTV and OzTAM - at the latter helping bring the industry together to co-develop and launch the OzTAM Video Player Measurement system, a critical insights and analytics tool in enabling broadcasters to better monetise all their connected device services in video. And when faced with the opportunity of how to better monetise the 3,000 Live hours of Australian Open Tennis in January 2017, his team developed a server side ad replacement (SSAI) solution for Live and VOD, helping deliver more than 13 million video impressions in a little over eight days. This made 7Tennis one of the biggest suppliers of digital video inventory during that month in Australia.